Adrianus Cyriacus Bleijs, sometimes incorrectly spelled Bleys, was born in Hoorn on March the 29th 1842 as the son of a carpenter. In ca. 1856 he was trained as a draughtsman at a local evening school, where town architect Blanken and engineer Linse were his teachers. At the age of 15 he was the overseer of the construction of the local gas factory, of which Linse was the director. 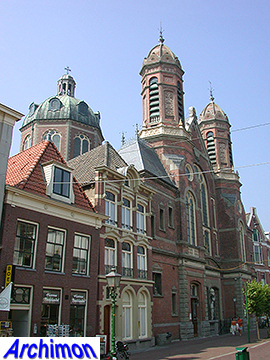 In November 1859 Bleijs moved to Roermond, to pursue further education at the office of P.J.H. Cuypers. His stay at the Cuypers' office lasted less than two years; according to some sources he was fired after a disagreement with Cuypers for which refused to apologize, but Bleijs himself claimed he was not satisfied with the training. In June 1861 he moved to Antwerpen, Belgium, to study architecture at the Royal Arts Academy in Antwerpen. In 1862 he participated in a contest for the design of an exhibition building, for which he won the first prize a few years later. He graduated in 1864 and returned to Hoorn later that year, where he began his own office in the house of his parents. Until 1870 he had little success, but eventually he had no less than 100 assignments in his Hoorn period alone, and he especially designed many shops in that town. 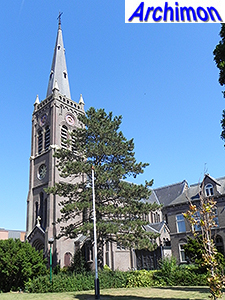 His first church assignment came in 1868, when he was commissioned to design a church for Heerhugowaard. After fellow architect Th. Asseler had died after a short illness in December 1879, Bleijs was licensed to carry out his remaining assignments and in February 1880 he settled in Amsterdam. 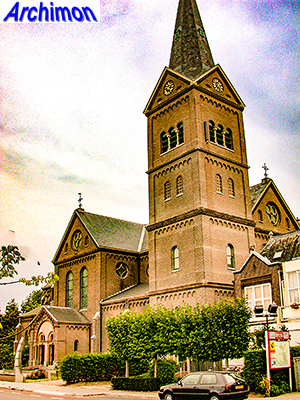 Bleijs was one of a relatively small number of catholic architects who did not totally comply to the neo-Gothic standard for catholic churches. Although he built several neo-Gothic churches he became best known for churches in other styles. Some are neo-Romanesque style, others are neo-Renaissance, a style that was typical for protestant churches at that time, not for catholic ones. Especially his neo-Romanesque work was a major influence one of his most important apprentices, Jan Stuyt. Besides churches Bleijs designed numerous other buildings, including two hospitals in Amsterdam. In 1896 his son Alexander died, his intended successor. Bleijs never recovered from this loss and accepted no new assignments. In 1903 he quit architecture and sold off the inventory of his office by auction. 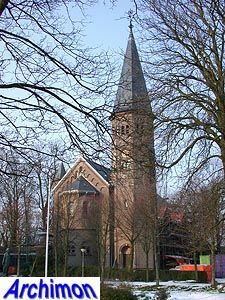 Already in 1901 he had left Amsterdam for Soest, and a year later he moved to Kerkdriel near 's-Hertogenbosch. For a few years he served as health inspector in 's-Hertogenbosch. He died in Kerkdriel on the 12th of January 1912. 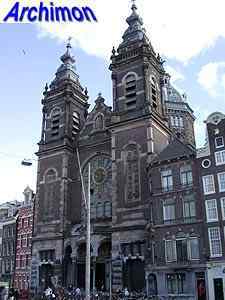 His burial service was held on January the 15th in his major work, the church of St. Nicolaas in Amsterdam, and he was buried in that city at cemetery De Liefde. His grave was later moved to cemetery St. Barbara, which was one of his designs. The following is an incomplete list of his religious work. Three-aisled cruciform basilica in neo-Romanesque style. Demolished in 1963. Convent in neo-Gothic style. Now a museum. Three-aisled cruciform basilica in neo-Romanesque style. Small chapel in neo-Gothic style. Three-aisled cruciform basilica in a neo-Gothic style. Three-aisled neo-Gothic cruciform basilica. Stepped gables on the transept. Demolished in 1964. Cruciform basilica in neo-Renaissance style. Rhomboid-shaped ground-plan. Crossing-tower with dome. Front with two polygonal towers. Addition of a transept and a new choir to Th. 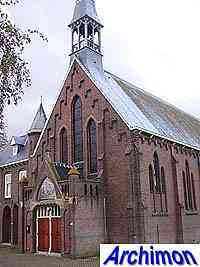 Molkenboer's church of 1856. Demolished in 1907. Neo-Gothic chapel for a monastery. Wooden church. Replaced in 1886. Addition of a tower and choir and enlargement of the nave of an older church. Demolished in ca. 1910. New transept and choir in neo-Romanesque style, for Th. 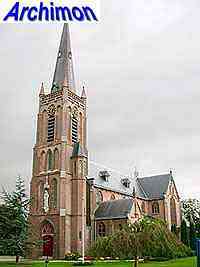 Molkenboer's church of 1860. Extension of the nave of a neo-Classical church, as well as construction of a new choir. Cruciform basilica in neo-Renaissance style. Crossing-tower with dome. In many ways a bigger and more refined version of the church in Hoorn, only with two square towers at the front. New transept and choir in neo-Renaissance style added to a lower church in neo-Classical style. Cruciform basilica in neo-Romanesque style. Main entrance in transept. Hospital consisting of several buildings, including a chapel, a presbytery and a Lourdes cave. Now a hotel. Three-aisled basilica in neo-Romanesque style. Traves of the side-aisles alternate in height. Chapel in neo-Gothic style. Due to bad foundation demolished in 1901. Bleijs had made a design for a bigger chapel before, which was not accepted to to the costs. Bleijs had designed the cemetery itself also, but free of charge. Hospital in neo-Gothic style, with chapel in neo-Romanesque style. Chapel demolished in 1987.